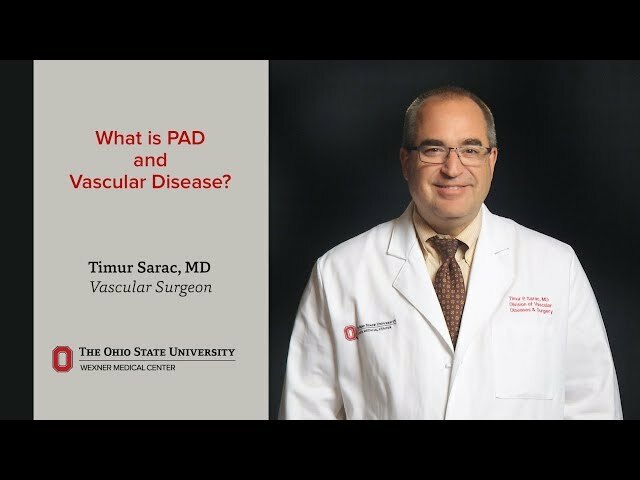 As a vascular surgeon at The Ohio State University Wexner Medical Center, I specialize in complex arterial reconstructions involving the abdominal and thoracic aorta, peripheral blood vessels including critical limb ischemia, thoracic outlet syndrome and carotid artery disease. I believe in exploring all options for new techniques in minimally invasive and conventional surgery, which I tailor to the patient’s needs and state of health. This usually requires a multidisciplinary approach to patient care. My current research involves developing a new generation of endovascular stents to treat aortic aneurysms. My favorite part about working at Ohio State is the spirit of the institution and the comradery among my colleagues. When I’m not working I enjoy spending time with my family, watching football, golfing, fishing and being outdoors. As of 12/20/2018, Dr. Sarac has reported relationships with the companies or entities listed below. If you have questions about the relationships listed below, please ask the faculty member. If you have questions about how these relationships are monitored by The Ohio State University Wexner Medical Center, please contact our Compliance Office.